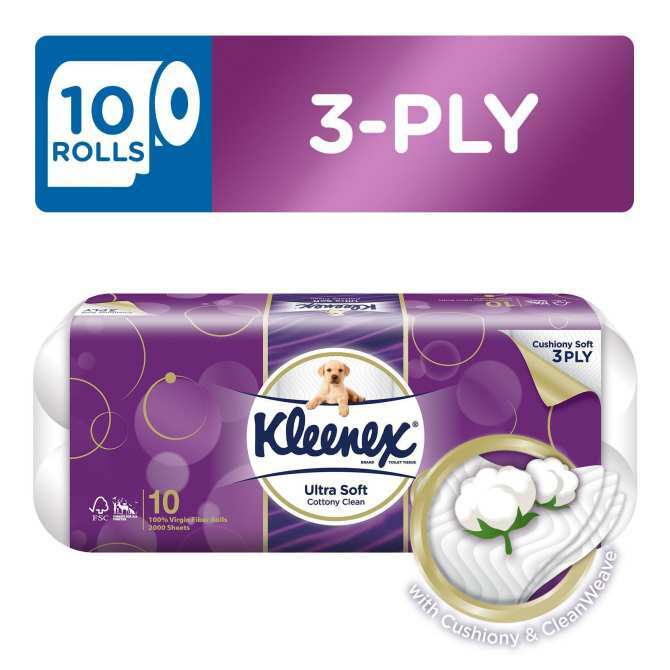 New Kleenex Ultra Soft Toilet Tissues offer ultra softness and strength with 3-ply thick sheets, ensuring superior cleaning with improved softness to reduce causes of skin irritation. Specially crafted CleanWeave design on each sheet helps remove dirt for a thorough clean. 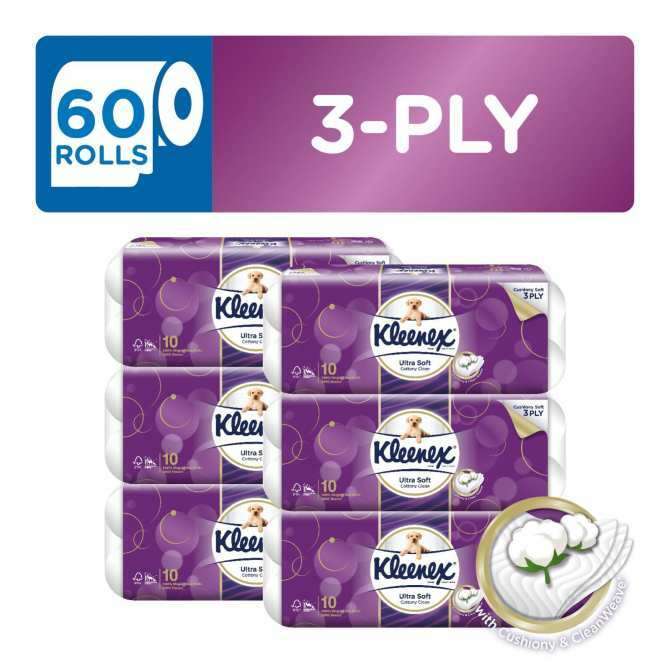 Woven with cotton extract, Kleenex Ultra Soft Toilet Tissue provides a cushiony soft touch to feel comfortably clean. With the addition of charcoal extract, which helps in absorbing odour, Kleenex Ultra Soft Toilet Tissue helps provide a feeling of confident clean. The Forest Stewardship Council label on Kleenex products is your assurance that this product comes from responsibly managed forests to meet the needs of both present and future generations.